Brother Ali On World Cafe : World Cafe The Minneapolis-based artist, who's been delivering socially conscious hip-hop for nearly two decades, performs live in the Cafe studio. In this session of World Cafe we welcome Brother Ali, a Minneapolis-based artist who's been delivering socially conscious hip-hop for nearly two decades. He's also white, an albino and Muslim. 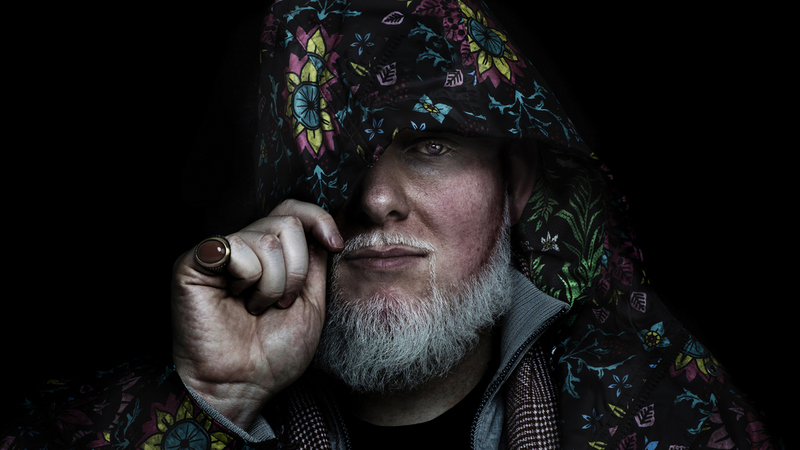 Ordinarily I would not introduce an artist by first telling you what they look like, or what their religion is — but with Brother Ali, it's all intertwined. His music is so personal; when you listen, you feel like you know more about him than you might know about some of your closest friends. His latest album brings us in with intimate tales — when his mom dyed his hair so he'd look less albino, the classmates in school who used to call him AIDS, the fears he has for his own black son as a potential victim of violence. But wait until you hear Ali's perspective on all of this; his album is called All the Beauty in this Whole Life, and that's where his open-hearted approach begins. Ali came in and recorded his performance for us on June 5, midday, right in the middle of Ramadan. Just picture that: no food or drink during the day, and shows at night. He started us off with a live performance of the song "Own Light" — press play above to hear.